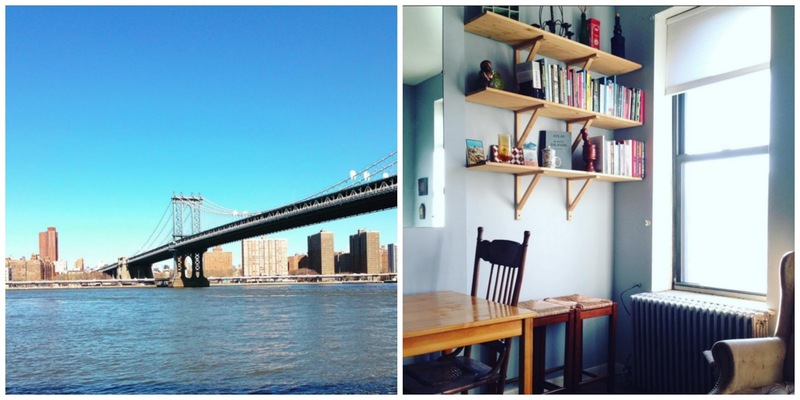 Here's the funny thing about blogging. When you're busy, you have a lot to write about! But you also have no time in which to write about it. That's the current state I'm in, so I'm stealing a few minutes before work to quickly catch y'all up. As I've mentioned before, my sister Susan is getting married on March 26th. Because she's my sister (I'm the oldest of three girls), and because I'm Matron of Honor, and because they have been engaged since December 2014, wedding planning has been a long and involved journey. But! Now the wedding is less than 3 weeks away, and we've already made it through the big events leading up to the main attraction. 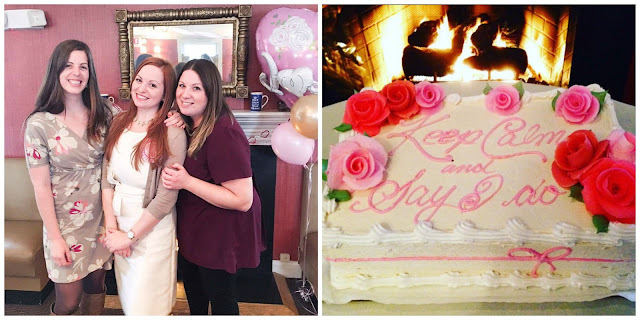 The bridal shower took place on Long Island back in January. Yes, I went to Long Island and I didn't blog about it! (I did Instagram about it, however, so I'm not a total lost cause.) The trip doubled as my holiday visit, since I didn't go home for Christmas this year, and I spent five days at my parents' house. This included shower prep, trips to Target, a viewing of The Revenant (ugh) with my youngest sister, a vegan meatball hero, and, of course, the shower. The shower was held at The Three Village Inn and featured a brunch buffet, unlimited mimosas, and only one corny game. (We interviewed my sister's fiancé about his personality and habits, and then asked my sister the same questions to see how well she knew him. Luckily, she got most of the answers right.) It was a pretty laid back visit and really family-focused, which was just what I needed. You know what's not laid back and family-focused? Atlantic City, which is where we headed for the bachelorette party a few weeks ago. My sisters have both been to AC before (Susan in particular is a bit of an Atlantic City expert) but this was my first time. It was probably also my last time. 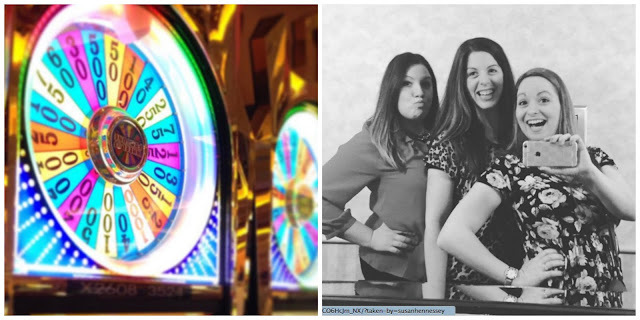 While I had fun with my sisters and her future SIL and created many lasting memories, most of which I am not at liberty to share on this public forum (you're welcome, Susan) casinos and resorts are just not my thing. We stayed at the Tropicana and I was flabbergasted by the fact that you literally never have to go outside. In addition to hotel rooms, it also has restaurants, shopping, bars, and, of course, a 24-hour casino where you can throw away your money while waving away cigarette smoke that can't help but drift into the non-smoking section. While I like a good game of craps, it had been a while since I'd played and also the tables all had a $15 minimum (I prefer to start with $5). So I stuck with the bachelorette party, who stuck to the slot machines, and slowly lost $80 over the course of a few hours. But then I won $94 with the push of a button, and felt an electric thrill, a sort of giddy high, and immediately realized why people become addicted to gambling. Winning feels so good! I kept playing, chasing that high, but then I started to lose again and somehow managed to quit while I was ahead. Overall I lost $20 over the course of two days, which is acceptable. My time in NYC was very brief (like, less than 24 hours) but it was exactly what I needed after the excesses of Atlantic City. Healthy meals, craft beer and Trader Joe's wine, a beautiful bookstore, and a long walk through DUMBO under the Manhattan bridge (or was it the Brooklyn bridge? After twelve years in the south, I can't tell anymore). I'm always grateful for an opportunity to see a friend, and was so grateful that Nicola took me in at the last minute and made me feel whole. I love my friends so much. The wedding! It's in Cape May, New Jersey, and for once Nathan gets to travel with me. I'm excited to see the celebration finally come together, to wear a pretty dress and a flower in my hair, to drink and dance and take a thousand photos. Until then, I'll be working on my MOH speech (my first one!) and counting down the days.